Psychoanalysis is an in-depth, non-directive talking treatment on the couch allowing for deep exploration of unconscious processes. The majority of my practice is full analysis, at a frequency of four or five times a week. Given the intensity, rigours and cost of analysis, most analysands have tried other conventional treatments. Since it is difficult for one to know if an analysis will become personally viable and effective, I recommend a trial period of a year. When someone decides to go ahead, the analysis will usually last from three to five years. I offer prospective patients two initial sessions in order to develop an overall picture of one’s story and to discuss the practicalities of setting and schedule. I do not prescribe medications in my analytic practice and therefore any management of medication is sought elsewhere. 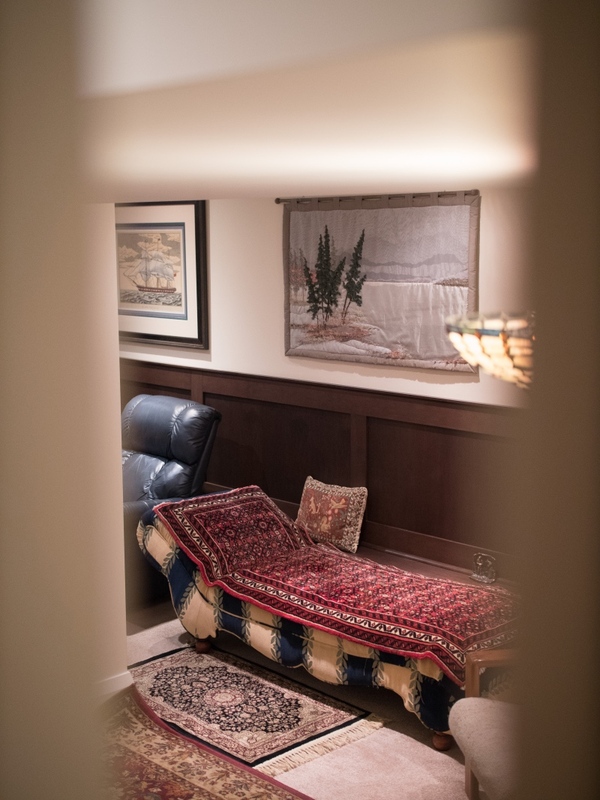 Psychoanalytic psychotherapy is a two or three times a week face to face talking treatment of generally less intensity than analysis and often undertaken for practical reasons instead of analysis or as a prelude to full analysis. The International Psychological Association regulates a Code of Conduct which can be found here.